Love Lo: Blog of the Week?...say whaaat? Hoping everyone had a spectacular weekend! Mine was good! Full of good company, good eats & good shopping! After such a good weekend, one might expect a dump of a Monday. They usually are no matter what right? 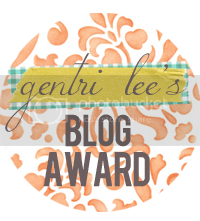 The most lovely Gentri Lee has chosen little ol' ME as her Blog Of the Week! Umm I could not be more surprised or delighted! Literally been grinning ear to ear about this since I got her email! 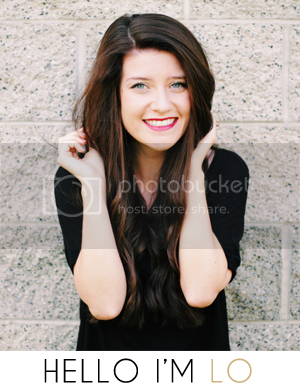 Is she not the cutest/ most stylish/ funniest girl ever? I seriously adore her blog! Not to mention she is so darn successful and I really admire her! Go check her out! You won't regret it! Thanks again Gentri! You da best girlfrand! Goofs ell, if Gentri says you're alright....guess I'll have to give ya a try as well. ;) New follower. New Follower from Gentri Lee!! And yet another one who found you via Gentri Lee :) Congratulations on the award! congrats girl! just stopped by from gentris blog, can't wait to see more posts! SO PUMPED for you!!! BOW BOW BOW! Congratulations! I just found you through Gentri, so pleased I did! Always love meeting other outdoor-lovin' girls! your blog makes my heart happy!! Yay I just found your blog through Gentri and I had to come say heller! ;) I'm going to go snoop around your cute little blog now. A little birdie (Gentri) told me that you two ladies are planning a trip in my direction (JASPER!!). I really hope you do. I'd love to meet and go on adventures with both of you. Congrats on being Blog of the Week. Isn't it the best feeling ever!? oh yayyy congrats! this is so exciting!